Finally, the day we have all been eagerly waiting for is here! Imran Khan has sworn in as our Prime Minister and we would like to congratulate him and all the Pakistani’s for the Naya Pakistan! It wouldn’t be surprising to know that this morning, every Pakistani must have been glued to their television screens watching our very own Khan Sahab taking oath! Well, we would like to reminisce about the moments of this special ceremony with all of you! And HERE IS OUR KHAN SAHAB AS HANDSOME AS EVER, TAKING HIS OATH! 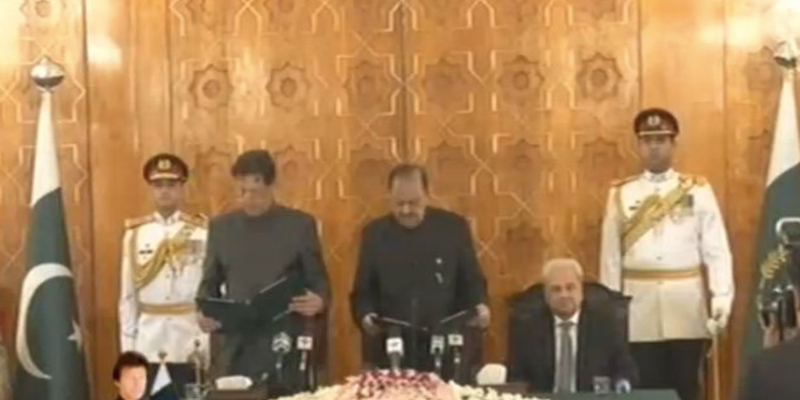 And as the oath was to be sworn in Urdu there were minor slips from our Khan Sahab, but we don’t care about that cause that smile is worth anything! After he finished the oath-taking, we could see a lot of smiling faces and that enthusiasm in the audience! And we also spotted our PM’s friend across the border, Siddhu jee smiling! LOVED IT! There were a lot of celebrities and supporters present at the oath-taking ceremony and they were all excited as ever! 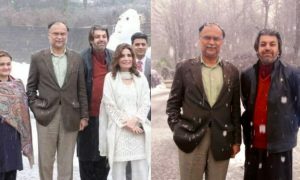 As for us, we are all over the moon and can’t wait to see Naya Pakistan in action! 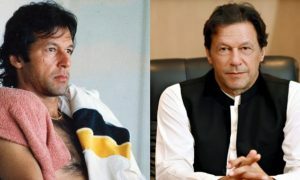 App sab ko bhi Naya Pakistan Mubarak! Let us know what do you guys think about this, in the comments below!